For many families, a diagnosis of Alzheimer’s is an ending. For Deborah, it was a beginning, “My mother taught me how to celebrate and appreciate what we have right now.” Through her mother’s Alzheimer’s, Deborah discovered compassion, deepening love and increased connection with her mother and her family. 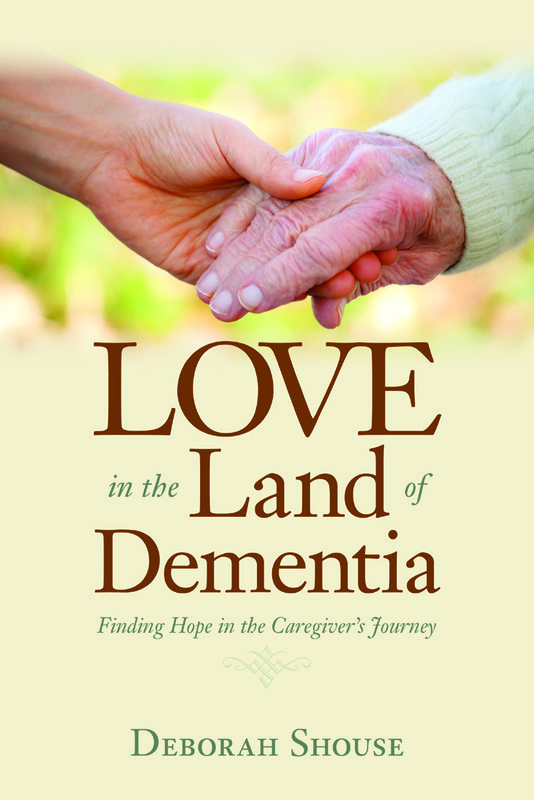 Love in the Land of Dementia offers insight and hope to family members, friends, and caregivers of people with dementia, memory loss and Alzheimer’s. Originally, Deborah and Ron self-published and used the book as a catalyst to raise more than $80,000 for Alzheimer’s programs and research. They will continue donate a portion of the proceeds to Alzheimer’s. I have read hundreds of true stories about families dealing with Alzheimer’s disease. None were written more wonderfully or truthfully about the grief, guilt, and, yes, grace of caring for someone with this insidious disease. Readers journey with Deborah Shouse in her superbly written tale, finding hope in the loss and even happiness in the new connection. “We have been searching for a text by a family caregiver that we can recommend unreservedly, and now we feel we have found one in Love in the Land of Dementia: Finding Hope in the Caregiver’s Journey by Deborah Shouse. Whilst never denying the down-turns in caring for someone with Alzheimer’s, Deborah is intelligent and sensitive enough to notice all sorts of things which bring situations alive, give people hope, and constitute treasurable epiphanies. Within the pages of this book you will find emotional comfort and practical tools for living with dementia. You will discover the bonds that hold families together and give them strength. This very powerful story is an insightful experience of love, touching the essence of caring for someone with dementia. Awesome story! That is a great way to use a challenge and develop ways to help others assist with family that suffer from Alzheimer’s.